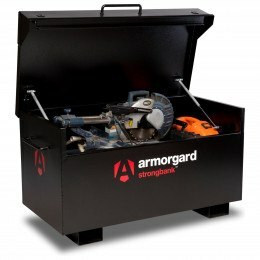 Site Tool Boxes Next Day Delivery - Order by 2pm for Next Working Day Delivery on Armorgard and Van Vault security storage boxes and chests - Free GB Delivery except Highlands. 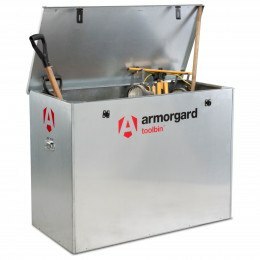 All brands including fork skids for easy transportation and with fixing holes to allow bolting to a firm surface. 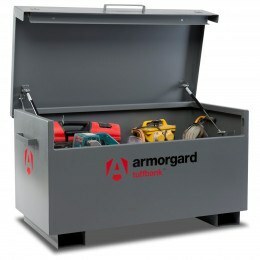 When you are securing valuables on a worksite the place you keep it is as important as the type of container you use. 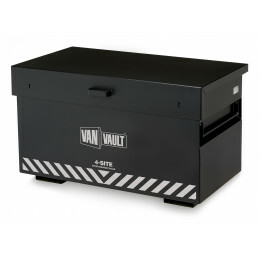 What’s the difference between a site box and a van box? Which one do you need? 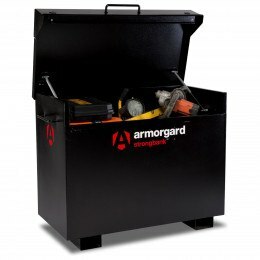 Site boxes and van boxes are both high security places to store your tools and equipment when you’re working out and about. But how different are they, and how do you know which type of box you need? The answers below should make things clear. 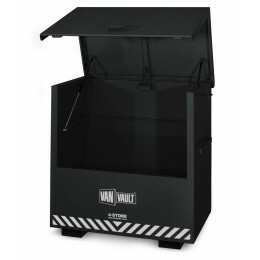 What is the difference between a Site and Van Box? The clue to the main differences is in the name. 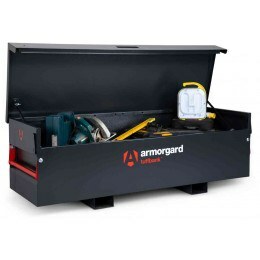 Van boxes, on the other hand, are not really intended to be moved about, but to be fixed onto your van or truck as a permanent, secure, weather-proof place to store your tools and equipment while you work. They do not tend to come pre-drilled (so they can be fitted to a range of different van types), and don’t have skids. 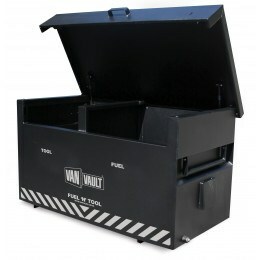 A van box is more suitable than a site box if you are in a trade where your van is your ‘base’ while you make house calls or work at different sites, like plumbing, landscaping, etc. Do the colours of the box mean anything? 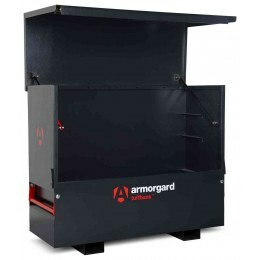 Red boxes like this one are flameproof – they are fire retardant for up to 30 minutes and designed for storing flammable liquids and materials. 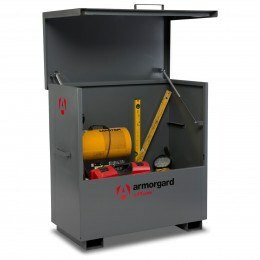 Yellow boxes like this one are designed for the safe storage of potentially harmful chemicals, in line with COSHH regulations. The different colours give everybody on site a clear warning about what is inside; the colour-coding is also very valuable in the event of a fire, alerting firefighters to the presence and location of any flammable or dangerous substances. 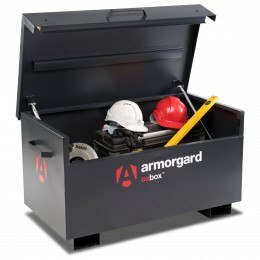 What are the typical weights of a Site Box? 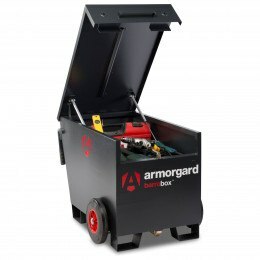 Site boxes are generally heavier than van boxes. 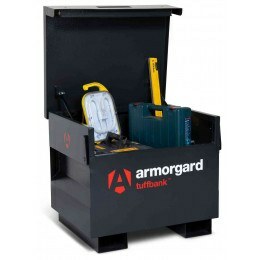 Site boxes tend to weigh in at 60-80kg or more. 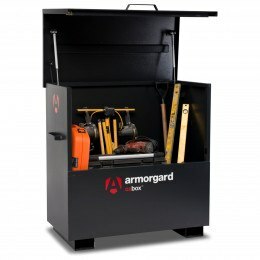 Do any Site Boxes have dividers? 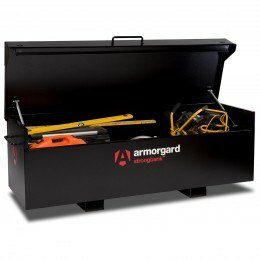 While many van boxes contain dividers to organise your tools, site boxes are usually empty so that you can fit whatever you need inside. 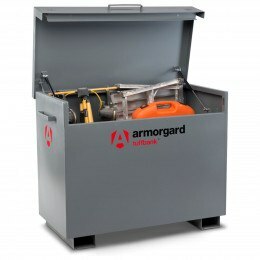 The exception is a range of site boxes that have a specially-shaped compartment to store a strimmer – see the Armorgard StrimmerSafe Vault range. What if my question isn't here? If you have read through all of the above information and you still haven't found what you are looking for, then get in touch with us. You can contact us via our chat line, contact page or call us on freephone 0800 567 7549 where our experienced and knowledgeable staff will be able to assist you.